For the past few years profile extrusion system which used for PVC and WPC profile, are developed significantly in the light of technological improvements. Focusing on higher quality, longer durability and energy saving systems, as a result of market circumstance and production conditions. 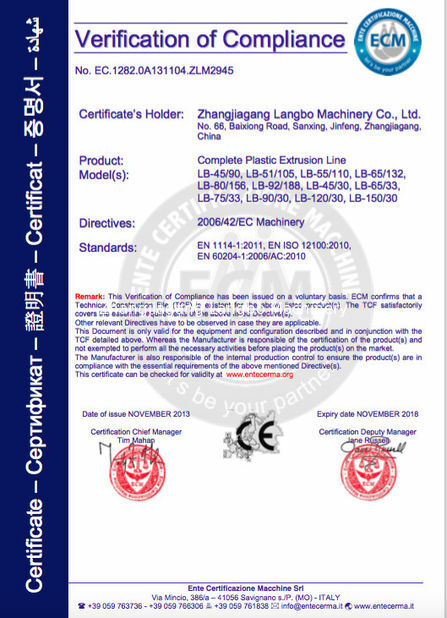 LANGBO MACHINERY targets to provide the optimal solutions for demand and needs of the industry. 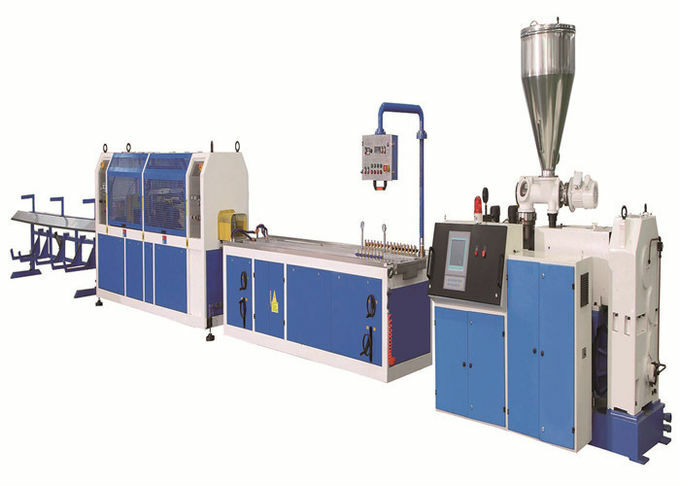 Conical Twin Screw Extruder is designed for the PVC profile application. We target to provide the optimal solutions for the customer’s special needs with the advantage of flexibility in material choices, high performance and long durability. We offer a wide range of calibration tables, providing an optimal and tailor-made solution for every need and application. Focusing on the energy saving system, Lima Extrusion provides LESS (Lima Energy Saving System) to benefit vacuum energy savings up to 80%. On our caterpillar haul-off units, we provide the optimal solutions for the customer’s needs with the advantage of flexibility in pad dimensions and track lengths. Our haul-offs are equipped with two independent tracks with gearboxes with continuous speed adjustment by inverter. Extrusion offers two types of cutting units for profile applications: Saw (TK-series) and guillotine (GK PRO) cutting systems. Depending on the customer’s preference, we can install these units in our integrated haul-off and cutting combination or supply separately. As option, for window sill and similar wide panel profiles, we also supply cross-cut system (CC PRO) for cutting profiles into smaller measurements in width. In addition to these units, our blade cutting unit (BK-series) is ideal for cutting profiles with a max. height of 8 mm, without any dust and chips. It is used for melting and stirring plastic material. 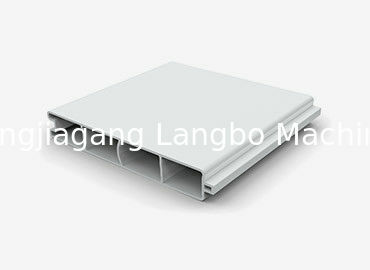 LANGBO adapts special screw and barrel type that provide perfect mixing and homogenous. We use special gear box for the Extruder which has axial bearings. Transfer the motor to the screw. For minimizing electricity consumption, we use the famous brand of driving motor of “SIEMENS” on our Extruder. Automation system designed with PLC and touch panel controller can be selected. Our mould designing gives ideal viscosity to melt material for profile producing. 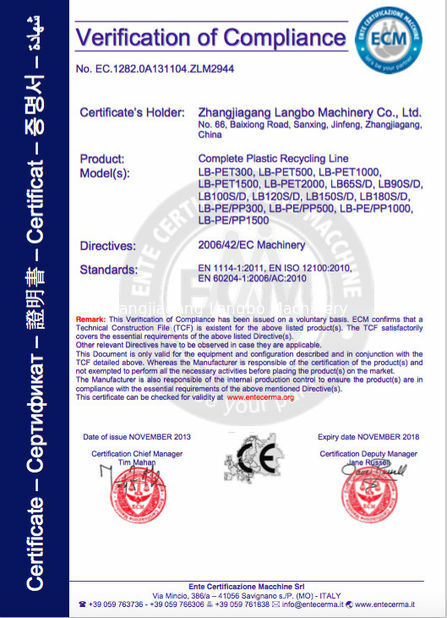 It gives profile or shape to plastic after processing. All faces the plastic in contact with is polish, so that frication losses minimized. The shaped profile that come from mould is subjected to calibration and cooling processing on the calibration table. The designing of calibration table varies according to the type and characteristic of the profile. The area that contacts with water is made of stainless steel in order to prevent corrosion. The designing of caterpillar haul-off changes depending on the contact area that is related to the profile measurement. The inverter control is standard on all caterpillar haul-off. For this reason, as the speed can adjusted with respect to material output rate. The caterpillar haul-off is also capable of making measurement adjustment through speed control equipment. In the speedy working condition, profile saw works with high efficiency in term of cutting frequency. As the saw table and clamps move synchronously. The saw cuts the profile in required length. 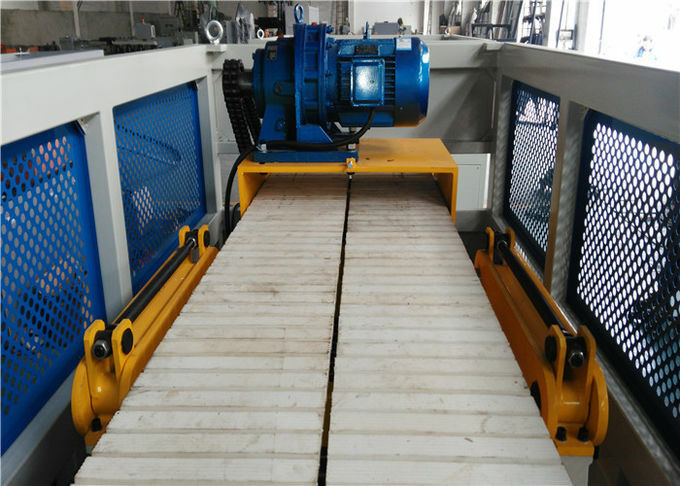 During the cutting processing, swarf and dust appears, in order to prevent these in production area, there is a dust collection unit is integrated in saw cutter. This unit absorbs swarf, dust effectively and removes to storage. Tip-off unit: It operates on pneumatic cylinder.